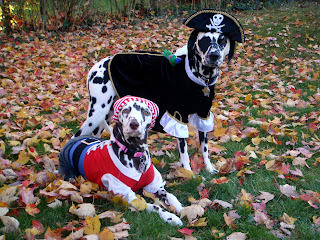 Happy Halloween from Captain Tess and First Mate Jazz, the spottiest pirates to sail the seven seas! 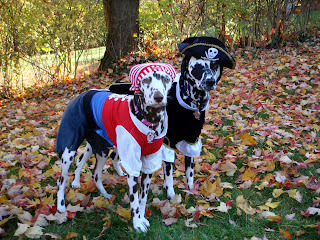 Here are the pirates with their Halloween booty -- definitely more treats than tricks! 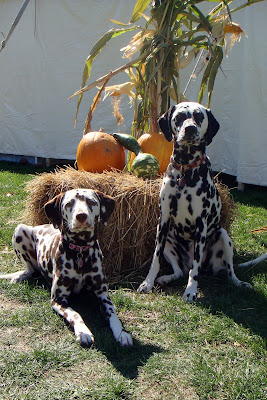 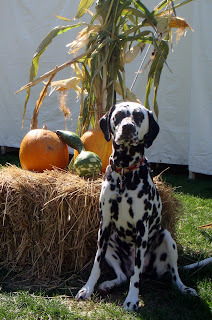 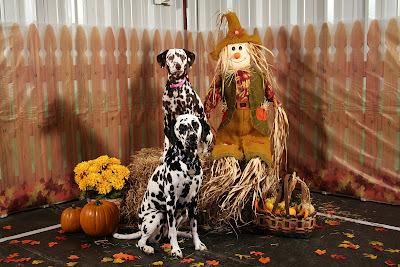 Last evening, Tess and Jazz attended the annual Halloween party at our training club, Splash 'n Dash K9 Sports. 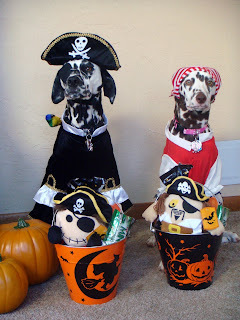 They won the doggie costume contest, but you're all going to have to wait until Halloween to see photos of the girls in their Halloween costumes! 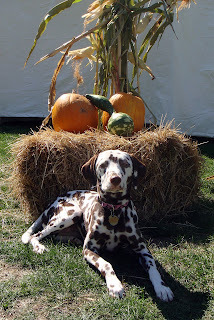 As you can see, Tess had a great weekend at USDAA agility! 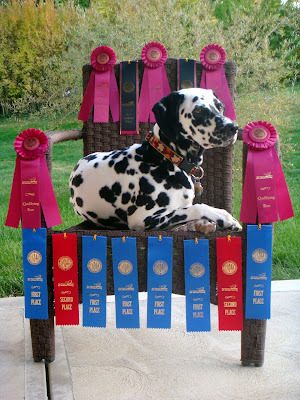 She had five qualifying runs and a total of six first place and two second place ribbons. 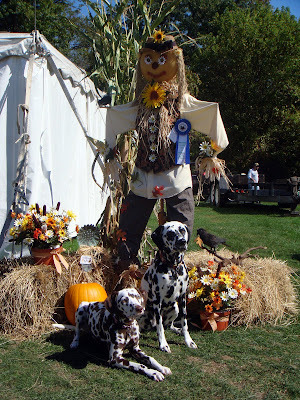 As if we weren't thrilled with that, Tess also earned her Peformance II Jumpers and Performance I Pairs Relay titles! 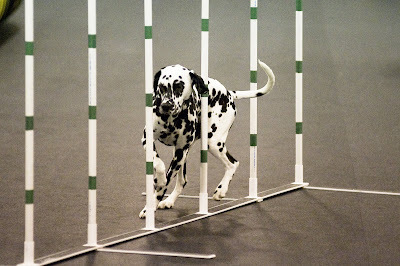 This brings her to a total of 15 agility titles in various venues and levels.